Your forefoot acts as a springboard with each step you take, and a cushion when your foot touches the ground. The metatarsal bones located in the forefoot bear and shift your body weight to help maintain balance. Jumping, twisting, dancing, and running add even more force to the forefoot, making the bones vulnerable to fracture from trauma and overuse. The majority of metatarsal fractures heal with non-surgical treatment. Fractures that require surgery have highly successful outcomes. Your forefoot (metatarsus) contains five long metatarsal bones. As a group, the metatarsal bones help raise and lower or twist your foot. They play a role in distributing your body weight and maintaining balance when you walk or stand. Certain parts of the metatarsals have a better blood supply than others . Fractures in areas of poor blood supply have more difficulty healing. For example, a Jones Fracture is such a fracture near the base of the fifth metatarsal that commonly requires surgery. Metatarsal fractures are caused by stress from overuse, improper training, ankle twisting, or trauma. Stress fractures are common in soccer players, ballet dancers, and military recruits. 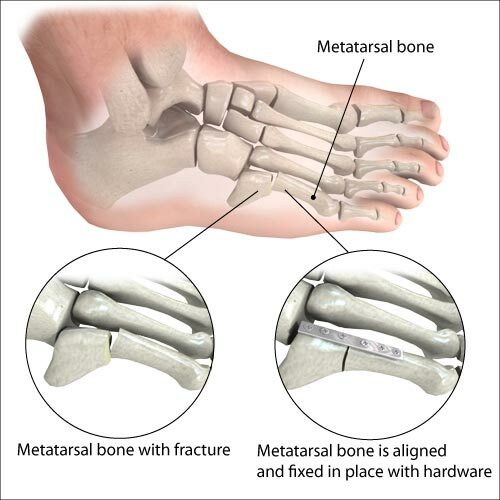 A metatarsal fracture can cause pain, swelling, discoloration, and difficulty walking. When the metatarsal bones crack or break, they may remain in place or move out of position (displace). 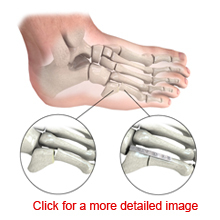 Your doctor can diagnose a metatarsal fracture by reviewing your history and examining your foot. X-rays are taken to help identify the fracture. The majority of metatarsal fractures are treated without surgery. You may need to wear a walking cast or rigid shoe. Some people may need to wear a cast and not put weight on their foot for several weeks while the fracture heals. Significant metatarsal fractures with a poor blood supply, or bones that have moved out of place may require surgery. Surgical hardware, such as a plate and screws are used to secure the bones in place. You may wear a short leg cast, brace, or rigid shoe for 6 to 8 weeks while the bones heal. Your doctor will check the healing process with X-rays and allow you to put more weight on your foot as the fracture heals. 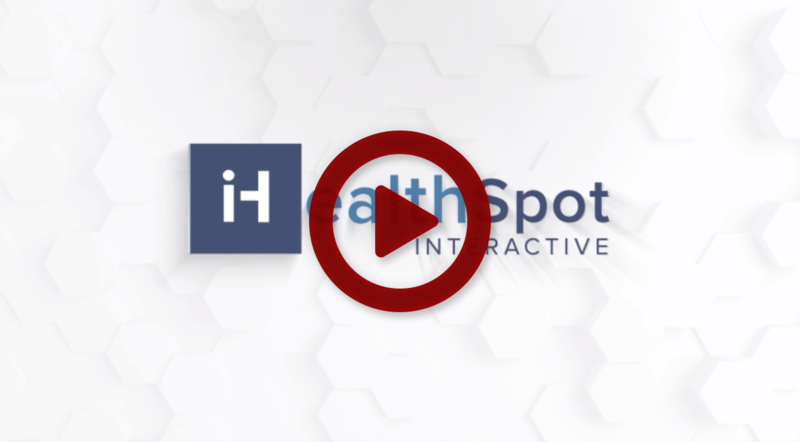 Recovery is individualized and depends on the location and extent of your injury, as well as the treatment that you received. Your doctor will let you know what to expect. Overall, metatarsal surgery has a high degree of success.